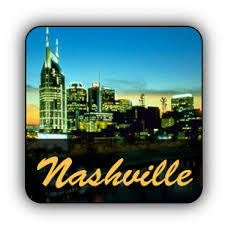 As I write this, I’m in Nashville, Tennessee, at the Killer Nashville conference. I’ve put on my bonafide author mask (authordom still feels too new to be real yet), which means I’m on panels and signing books and the whole author thing. So here I am promoting KILMOON. What about the second novel in the County Clare mystery series, you ask? I’ve got a solid second draft that still needs heavy revision for plot. I just need to get on it, yah, you know? But it’s as I was saying last week: depression partially controls my actions vis a vis (is that how you use that phrase?) my energy levels. That said, I’m feeling confident that I’ll finish this draft by the end of the year. See, that right there, that little bit of hope and looking forward — that’s a good sign. Yay! GREY MAN continues the story of Merrit Chase, newcomer to Lisfenora village, Ireland, and Detective Sergeant Danny Ahern. Whereas KILMOON was mainly Merrit’s story, the second novel will be Danny’s. In this novel, Danny finds himself matching wits with a man who doesn’t seem to exist after a teenage boy dies in Danny’s arms. When the violence hits too close to home, he must figure out the connection between a mute women with traumatic amnesia, a hermit jewelry designer, and a second dead teenage boy. The title “Grey Man” refers to a local myth that runs as a theme through the novel — a predatory faery that snatches people when the fog descends. As you might guess, it’s foggy in the novel! That’s good, Heather! I like that! Lisa, I think it’s amazing that you have a solid first draft with all you’ve been through in the last year. Cheers to you! Hope you’re having a blast in Nashville. I’ve been loving your photos. Thanks, Susan — by the time I leave I might sporting bling. Such bling! I love the costumes. I like the title Grey Man. When I googled Grey Man, the results were similar. it means an individual who can blend into any situation. I think it matches the story you are writing about, unless I am mistaken here. And on another topic, I just wrote on my blog about the Book Passage writing conference. When the Fog Descends…that’s actually a depression metaphor, right? Opportunity to mix your, ahem, interests? Thanks, Lori. We need to catch up, it feels like … Right? I prefer When the Fog Decends as well. And I like the connection to depression, as pointed out by Lori. Thanks, Kristopher! I’m looking forward to seeing you at Bouchercon — you are going, right? Wow, just noticed lots of typos up there! That’s what I get for typing fast because I’m at a conference. I’ll fix them later … And I’ll reply later too! I like the title, and I like mysteries where the supernatural may or may not be involved. John Dickson Carr wrote some excellent ones — and early in his career he’d written The Burning Court, which did have a supernatural element, so after that you were never 100% sure… (in most mystery stories, when the detective says that there_has_ to be a logical explanation, you can be pretty sure there will be one eventually). You are always a font of good information and stories, Anthony! I’m going to miss your comments . Definitely! And I am going to start blogging there again … I hope soon! I think they’re both great titles! Grey Man is short and punchy like Kilmoon, so it follows in a certain tradition. But I also REALLY like When the Fog Descends…so very ominous and intriguing. I like the title “Grey Man”, as it’s suggestive of many possible things, but there’s already at least one recent book titled “The Grey Man” (possibly in reference to a term from Scottish folklore), and a whole series of “Gray Man” books by another author, the first of which is called “The Gray Man”. All slightly different from your would-be title I know, but maybe too close for comfort. Andy! Thanks for thinking about this on my behalf. Yeah, I thought “Grey Man” might be overused … I’m liking “When the Fog Descends” actually … quite alot. I’m going to check out the musical track!